This entry was posted in Celebration, Uncategorized and tagged Disneyland, MaxPass, Retirement activities and hobbies. Bookmark the permalink. Happy birthday! I remember going to Disneyland once with a group of friends right around my birthday. 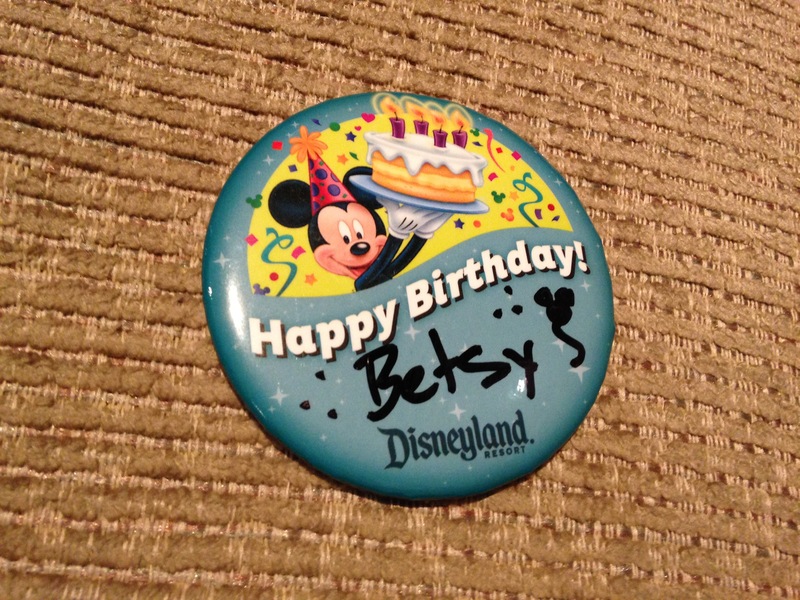 That wasn’t why we went, but I happily wore my birthday button! As one who has a birthday that often gets lost around Christmas and New Years celebrations, I was so happy to get all the attention. I have to admit that I wasn’t all that much younger than I am now… I guess we don’t always completely grow up 😄, which is a good thing! I love this! Happy birthday. Mine was on the 8th and I’m also a Betsy. Nothing like Disney to make you feel like a kid again!